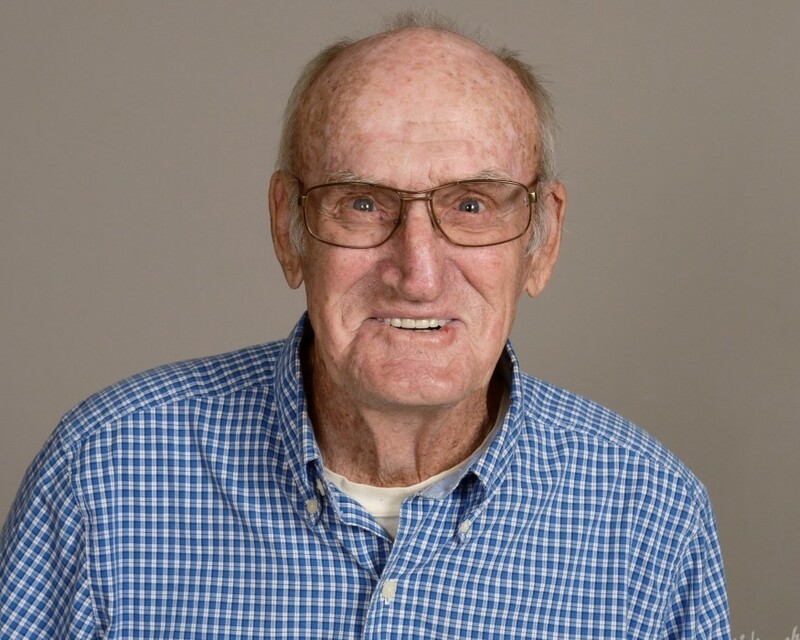 Mr. Fred Harris passed away Friday, February 1, 2019. Mr. Harris’s funeral service will be held Thursday, February 7th beginning at 6 p.m. at Brownings United Methodist Church, Mt. Olive. Visitation will follow the funeral service. Mr. Harris will have a graveside service Friday, February 8th in Hillcrest Cemetery at 11:00 a.m. Officiating the services will be Rev. Arthur Warren, Rev. Donald Massey and Garrett Strickland. Fred was a loving husband and father for over sixty years. His loving Wife, Anne Daughtry Harris, passed away just 2 months ago. Fred had been devoted to her care for the past fourteen years. Their three children enjoyed a life with adoring and devoted parents. Fred was a gifted mechanic and Massey Ferguson restorer. He was always looking for a deal on farm equipment. Fred attended Brownings United Methodist Church and received God into his heart on Wednesday morning prior to his death. Everyone will remember his quick smile, love of helping everyone he met, and his strong work ethics. As he would say; “Get up and go to work”. Left to cherish his fond memories are his children; Katie Vann and husband Kern of Mt. Olive, Joyce H. King and friend Richard Wilson of Newton Grove and Shell Harris and wife Lisa of Mt. Olive. His grandchildren; Jason Vann and friend Morgan Brown, Andrew and wife Katie Vann, Elizabeth Parker and husband Tim, Johnathon King, Ashley Joyner and husband Johnny and Jeremy Harris. Great Grandchildren; Cameron Joyner, Cheyanne Joyner, Lillie Parker, Audrey Parker, John Luke Parker and Eliza Vann. Brother; Ed Harris. Sisters; Dean Weaver and Hazel Mills. Sister-in-law, Faye Sanderson. Brother-in-laws; Tommy Daughtry and Bobby Daughtry and wife Debbie. Special friend, Bruce Warren. Mr. Fred was preceded in death by; parents; Zack and Rose Harris, his beloved wife; Merinda “Anne” Harris. Also, two brothers and two sisters. The family will receive family and friends other times at the home of Shell and Lisa Harris, 6230 US Hwy 13 South, Mt. Olive, N.C.
Services have been entrusted to West & Dunn Funeral Homes, Inc., Newton Grove, North Carolina, 28366. Services have been entrusted to West and Dunn Funeral Home of Newton Grove.